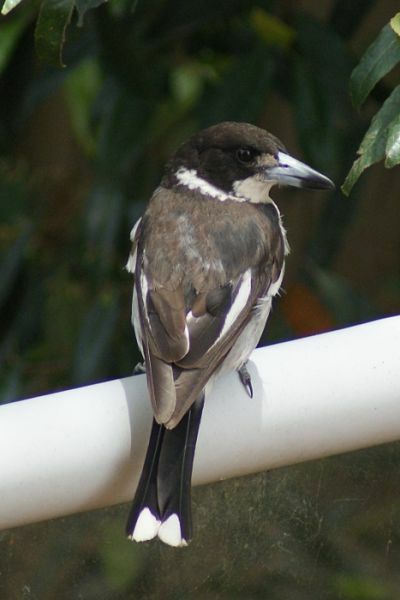 The Grey Butcherbird is a common bird, often appearing in gardens and parks as well as farmland. They are highly musical with the male and female performing a call and response song. They are fairly large at 26-30 cm in length. Their diet consists of insects and small mammals, with the larger prey items being wedged into tree forks and being ripped up by the large hooked bill (hence the name). They occur over much of Australia. 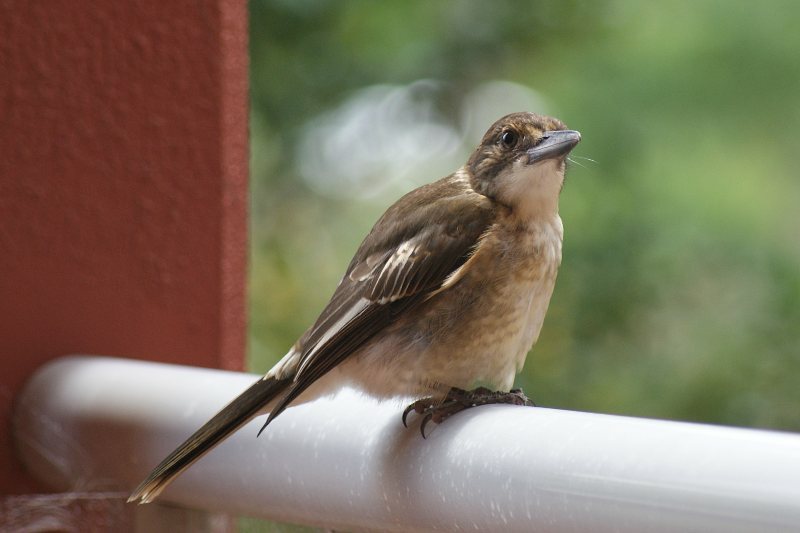 The first two are adults (the second landed on the balcony after attcking a Brown Cuckoo-dove and the last is a juvenile, which became very friendly and would sing to us in exchange for small scraps of cheese. 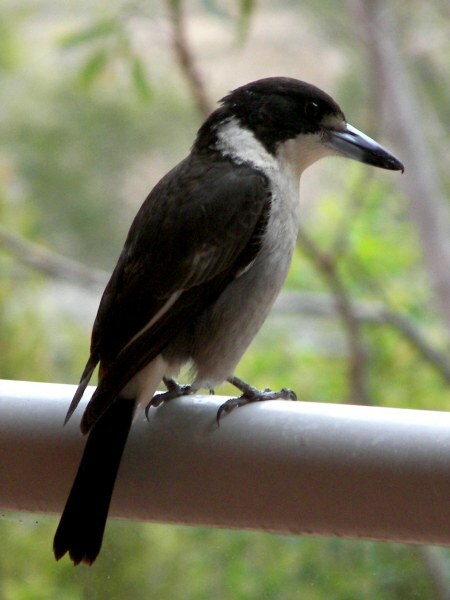 A moderately common bird in the suburbs and parks around Sydney. As with many birds here, they can be quite aggressive and the first photo was taken while the bird was attacking a stunned Brown Cuckoo-dove. The second photo is of a juvenile.